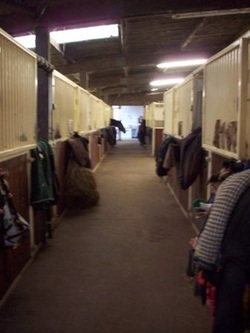 Hargate Equestrian is a family run business, formed in 1994. Set in 30 acres, we offer a range of livery packages, riding lessons for all abilities, arena hire, pony parties and more! Our facilities include two 50 x 70 outdoor competition arenas, a 60 x 30 outdoor collecting ring, and a 25 x 45 indoor arena. We cater for young stock handling, foaling down and sports horse rehabilitation, as well as schooling and competition livery.